wow. those look delicious! and i'm so glad this change has brought you less pain. that's wonderful. 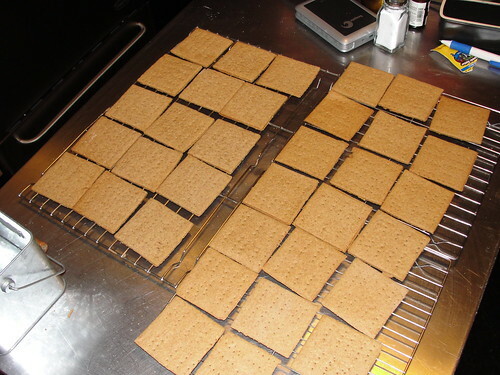 They were very very tasty with both chocolate and peanut butter--my favorite toppings for real graham crackers, so they passed the test. And they were really easy to make. I'm going to try a savory version when I get home tonight.